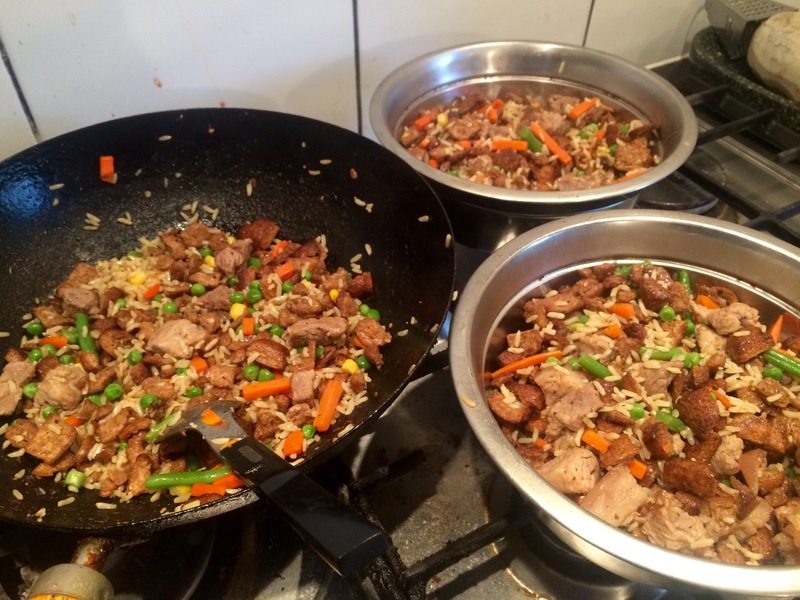 Home › Dining out & about › Pork, veg and rice.. Fast! 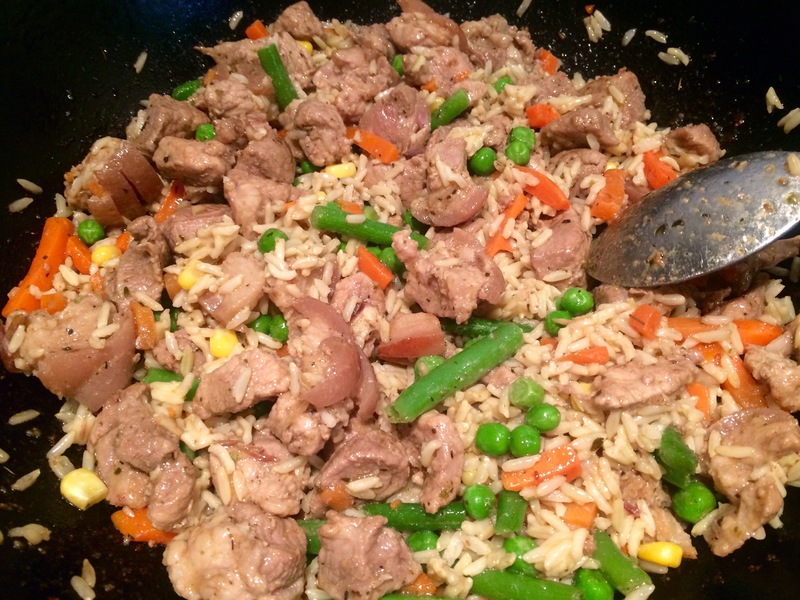 Pork, veg and rice.. Fast! Needed to cook this fast.. So pork shoulder chopped.. Inc rind and all… Into the uncle bens wok with a couple cloves of garlic.. Mixed veg.. Mrs middletons rapeseed oil.. And some brown basmati..
Cooked up on fierce heat.. 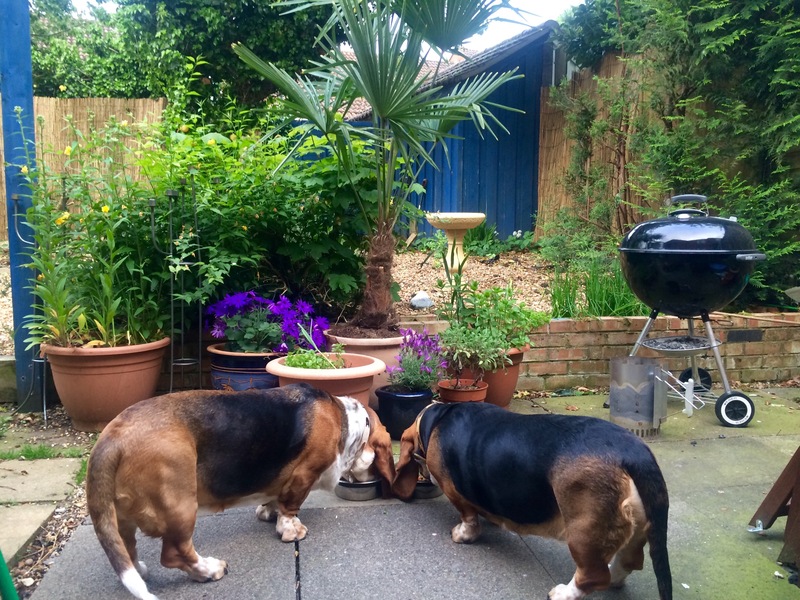 Tags: basset hounds, rice and pork, shoulder of pork amd rice, what do bassest hounds like to eat? I cook for them every day ! I cook for them every night! Without the rind and biscuits it really is a stunner! Hosting was fun.. Must do it again one time!